Vitamins are essential for the body and brain's health. Vitamins for depression ensure a normal, healthy, and depression free life. Some people may feel depressed simply because of vitamin deficiency. Note from Editor: You should consult with your doctor before any consumption of vitamins and supplements. Some vitamins may have harmful effects if overdosed. Others may counter effects of prescribed medications. Many vitamins do not store in our bodies, so we have to continue supplying ourselves with vitamins for depression through our foods. That's why I recommend a variety of nutritious foods, rich in vitamins for depression, to include lots of fruits and vegetables. 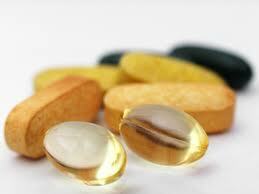 Even if you are keeping up with a balanced and nutritious diet, you may be deficient in essential vitamins. Unfortunately our society advocates the consumption of products that deplete our bodies of nutrients. Consuming refined sugars, alcohol, nicotine, and/or caffeine cause vitamin deficiency. The consumption of those products may very well trigger your symptoms of depression. There may be other causes for vitamin deficiencies, such as not eating the right foods. Many who suffer from depression tend to have a poor diet, or simply don't have the time to prepare the best meal for themselves during or after a busy work schedule. Many depressed people suffer from an unbalanced appetite. They either don't eat, or eat too much junk. Modern lifestyles and habits deplete our body of vitamins, such as stress, processed foods, refined sugar, drugs (recreational and prescription drugs), toxins in the environment, personal care products, malnutrition (including junk foods), and cooking away vitamins off foods instead of eating them raw. The primary source of vitamins for depression should be through healthy meals to include lots of fruits and vegetables. If you suspect you are falling short on foods that provide these vitamins for depression, make the effort to include them in your diet. Pills cannot replace foods. It is very difficult to overdose on vitamins for depression through foods. Foods have other nutrients that work together with vitamins for depression to take overall effect on our bodies. The effects of deficient B-complex vitamins are depression, mood changes, chronic fatigue, mood changes, emotional issues (paranoia, fears, irritability, attention deficit, anger, among others) insomnia, changes in appetite. B-complex as a group are essential in preventing depression and anxiety. Vitamin B1 Thiamine. B1 helps the body cells convert carbohydrates into energy. It is also essential for the functioning of the heart, muscles, and nervous system. It is water soluble, which means it is not stored in the body. You must replenish the vitamin every day. Left over amounts leave the body through the urine. Vitamin B2 Riboflavin. Important for body growth and red blood cell production and helps in releasing energy from carbohydrates. Vitamin B2 can be found in milk, dairy products, lean meats, eggs, nuts, enriched flour, and green vegetables. It is water soluble, so you must replenish the vitamin every day. There is no known poisoning from riboflavin. Vitamin B3 Niacin. Niacin assists in the functioning of the digestive system, skin, and nerves. It is also important for the conversion of food to energy. Niacin is found in dairy products, poultry, fish, lean meats, nuts, eggs, legumes and enriched breads. It is water-soluble, which means it is not stored in the body. Water-soluble vitamins dissolve in water. Leftover amounts of the vitamin leave the body through the urine. That means you need a continuous supply of such vitamins in your diet. Overdose side effects of niacin can cause liver damage, peptic ulcers, skin rashes, allergies, hepatic abnormalities, dilated blood vessels, lowers cholesterol levels, low blood pressure, and increase blood sugar level. Even normal doses can be associated with skin flushing. Vitamin B3 should only be used with medical supervision due to its potential for severe side effects. Vitamin B5 Patothenic Acid. Vitamin B3 is essential for metabolism. It helps break down carbohydrates, proteins, and fats. Vitamin B5 can be found in eggs, fish, milk and milk products, whole-grain cereals, legumes, yeast, broccoli and other vegetables in the cabbage family, white and sweet potatoes, and lean beef. Vitamin B5 is water soluble, so the body eliminates any excess. There's no known effects for excess of vitamin B5. Vitamin B6 Pyridoxine. Vitamin B6 helps the immune system produce antibodies. It also helps maintain normal nerve function and form red blood cells. The body uses it to help break down proteins. The more protein you eat, the more vitamin B6 you need. Vitamin B6 is found in beans, nuts, legumes, eggs, meats, fish, whole grains, and fortified breads and cereals. Deficiency of these vitamins for depression can cause mouth and tongue sores, irritability, confusion, and depression. Overdose side effects for vitamin B6 can be neurological disorders, numbness, disturbed sleep, poor body coordination staggering, and decreased sensation to touch. Vitamin B7 Biotin. Helps break down protein and carbohydrates and helps the body make hormones. B7 is made by intestinal bacteria and is also in peanuts, liver, egg yolks, bananas, mushrooms, watermelon, grapefruit, poultry, fish, broccoli, spinach, and cauliflower. Biotin is water-soluble, which means it is filtered through the bloodstream and eliminated with urine. As a water-soluble vitamin, biotin needs to be replenished on a regular basis to ensure you have healthy levels of it at all times. Because it is so abundant in food, a biotin deficiency is rare. Vitamin B12 Cobalamin. Is important for metabolism. It helps in the formation of red blood cells and in the maintenance of the central nervous system. Vitamin B12 is found in eggs, meat, poultry, shellfish, milk, and milk products. NOTE: Typically, water-soluble vitamins cannot be stored by the body. Vitamin B12 is special, because the body can store it for years in the liver. Overdose side effects for B12 are: Skin allergies, rashes, infection, nervousness. Folic Acid. This B vitamin helps the body make healthy new cells. It is very important in the formation of white and red blood cells. It is also involved in the proper metabolism of proteins. It is also central in the synthesis of DNA, which makes up the genetic material in our cells. Foods that are naturally high in folic acid include leafy vegetables such as spinach, broccoli, and lettuce. Okra, asparagus, fruits (such as bananas, melons, and lemons) beans, yeast, mushrooms, meat (such as beef liver and kidney), orange juice, tomato juice, wheat bran and other whole grains, poultry, pork, and shellfish. Enriched breads, and cereals also contain folic acid. Possible side effects in taking Folic acid supplements are skin rash, itching, redness, and difficulty breathing. These vitamins for depression are necessary for normal growth and development. Deficiency of vitamin C can produce depression. Vitamin C is an antioxidant that blocks some of the damage caused by free radicals, which are by-products that result when our bodies transform food into energy. Foods that tend to be the highest sources of vitamin C include green peppers, citrus fruits and juices, strawberries, tomatoes, broccoli, turnip greens and other leafy greens, sweet and white potatoes, and cantaloupe. Vitamin C is a water-soluble vitamin. Vitamin C toxicity is very rare, because the body cannot store the vitamin. However, amounts greater than 2,000 mg/day are not recommended because such high doses can lead to stomach upset and diarrhea. Vitamin D is a fat soluble vitamin that is stored in the body and indispensable for many body functions. 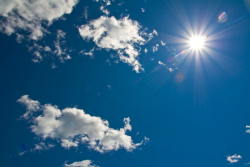 Vitamin D is produced naturally in the body with the exposure of sunlight. The body can also acquire vitamin D through foods and supplements. Many people in the northern or southern hemispheres can have a lack of vitamin D due to lack of sunlight, which has been attributed to causing Seasonal Affective Disorder (SAD). SAD is the state of depression during low sunlit winter months. Vitamin D is crucial for the absorption and metabolism of calcium and phosphorous. Dosage. You cannot get too much vitamin D from sunlight, and it would be very hard to get too much from food. Generally, too much vitamin D is a result of taking supplements in too high a dose. The sun. The body makes vitamin D when your skin is exposed to the sun. The color of your skin affects the production of vitamin D. A fair-skinned person may need only about 45 minutes of sunlight a week to get enough vitamin D, while a person with dark skin may need up to 3 hours. Foods. Cod liver oil is the best source; however, it often contains very high levels of vitamin A which can be toxic over time. Ask your health care provider about this source of vitamin D.
Fatty fish such as salmon, mackerel, tuna, sardines, herring. Vitamin D-fortified milk and cereal, and eggs. Taking too much vitamin D can cause several side effects. However, scientists don’t all agree on how much is too much. The National Institutes of Health has set the maximum tolerable upper limit at 1,000 IU daily for infants 0 - 6 months, 1,500 IU daily for infants 6 months to one year, 2,500 IU daily for children 1 - 3 years, 3,000 IU daily for children 4 - 8 years, and 4,000 IU daily for anyone over 9. Ask your doctor to determine the right dose for you or your child. Side effects may include: Being very thirsty, metal taste in mouth, poor appetite, weight loss, bone pain, tiredness, sore eyes, itchy skin, vomiting, diarrhea, constipation, a frequent need to urinate, muscle problems. 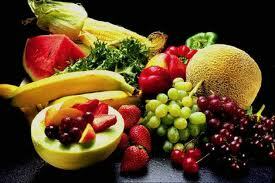 The best source of vitamins for depression are healthy meals to include a variety of fruits and vegetables. I've said this more than twice. Get the hint? That being said, many people may not have the time to prepare such a variety of meals. I would encourage you get organized enough to have a well balanced menu throughout the week. Otherwise, consider taking supplements for vitamins for depression that you think you are lacking. Always consult your doctor before taking vitamins for depression.